Not all treatments require extensive restoration to improve the overall appearance and permanence of an object. 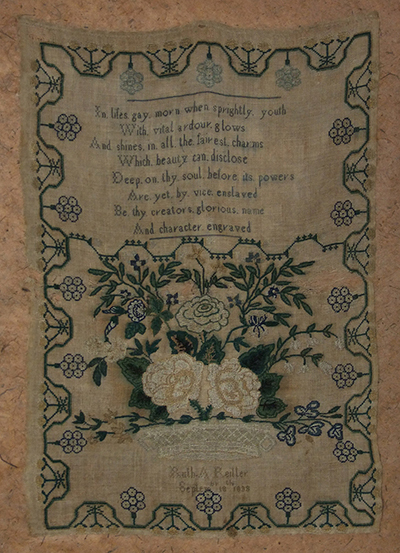 When this 183-year-old embroidered sampler arrived at the studio it was determined that our treatment approach would be to stabilize and improve its long-term preservation by changing how the delicate textile was mounted and displayed. First the embroidery was separated from the dark brown support to which it had been glued. Then it was re-stretched and hand sewn to a new and far more complimentary piece of cloth. Areas that were torn or damaged were reinforced with thread. A rigid archival board was added behind the mounted textile for additional support. 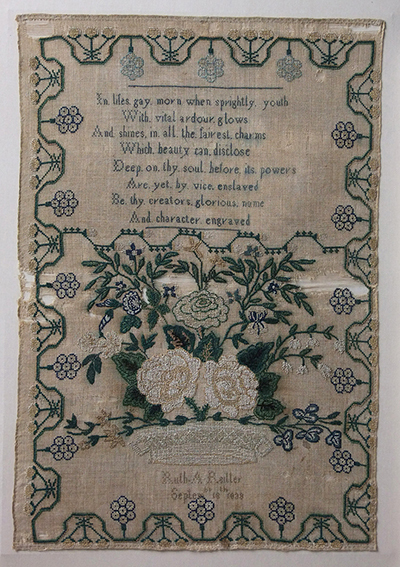 Once properly mounted, the textile was framed using UV protected museum glass. The difference is striking!